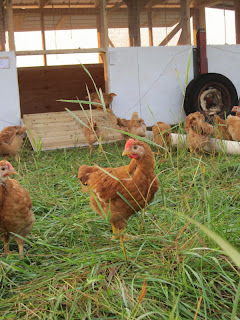 I think it's time you met some of the individuals involved in our chicken project. 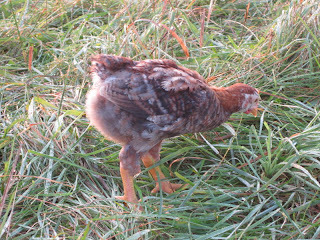 First in our list of contestants is the Red Ranger developed from American stock at S&G Poultry, a hatchery in Alabama. 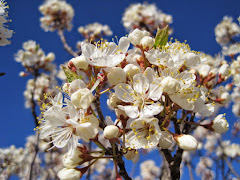 It is said to be a versatile bird and an excellent forager. Next, we have the industry favorite, the Cornish Rock Cross. 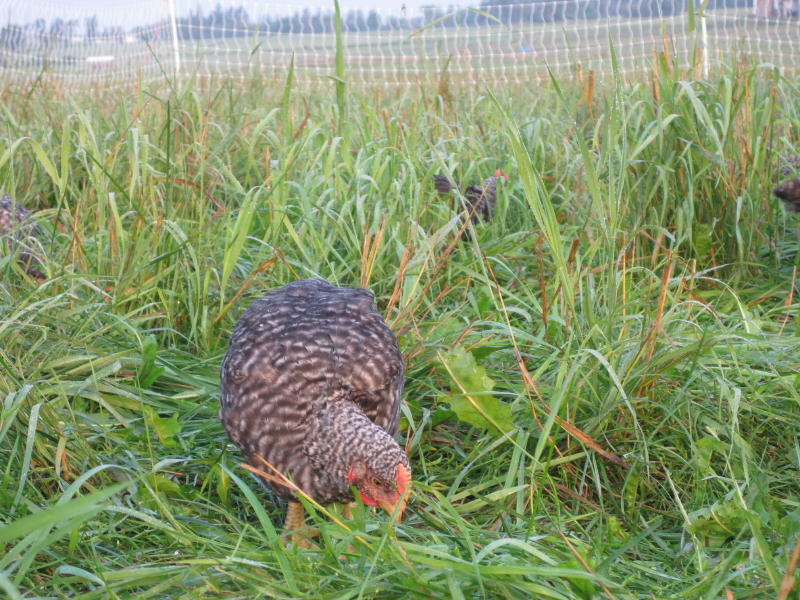 This hybrid was developed for rapid growth and is the breed behind almost all of the meat available in this country. 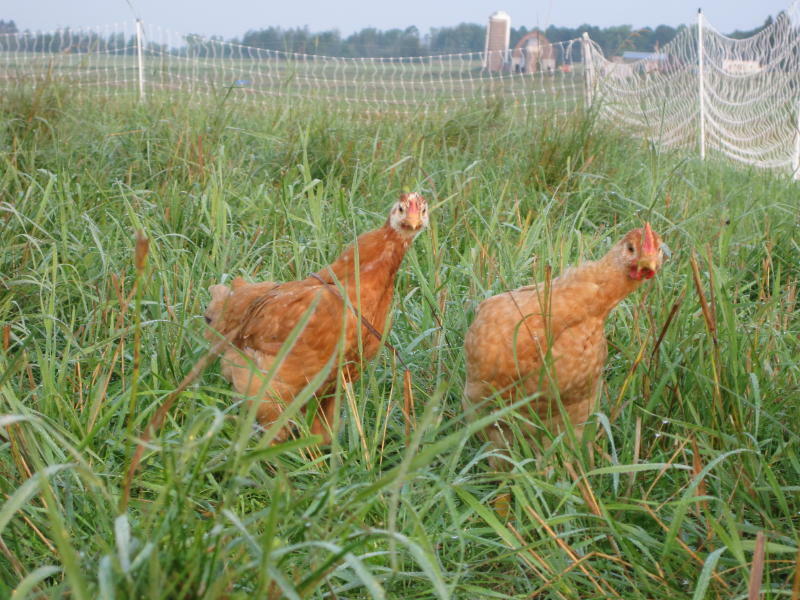 Ours comes from Sunnyside Hatchery right here in Wisconsin. These birds are known as Freedom Rangers. They were hatched by J.M. 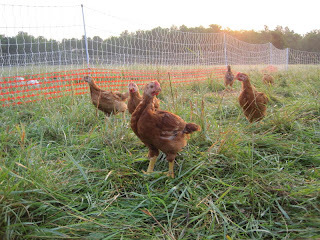 Hatchery from parent stock that was developed in France for the Label Rouge program, a label requiring farmers to follow strict production standards to achieve high quality meat. 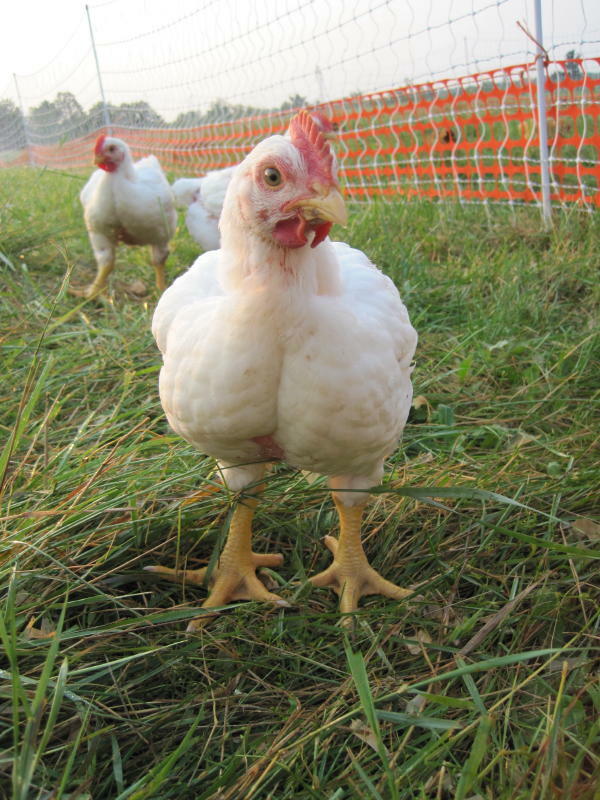 Most of Europe now uses this breed in its alternative poultry markets. Next, meet the Silver Cross, perhaps the first alternative available to farmers. It is offered by several hatcheries now. 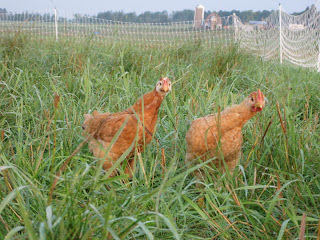 We got ours from Noll's Hatchery in Pennsylvania. I would say it is the most independent minded bird we are raising. These two chickens were also developed by S&G Poultry and are known as Super Dixies. 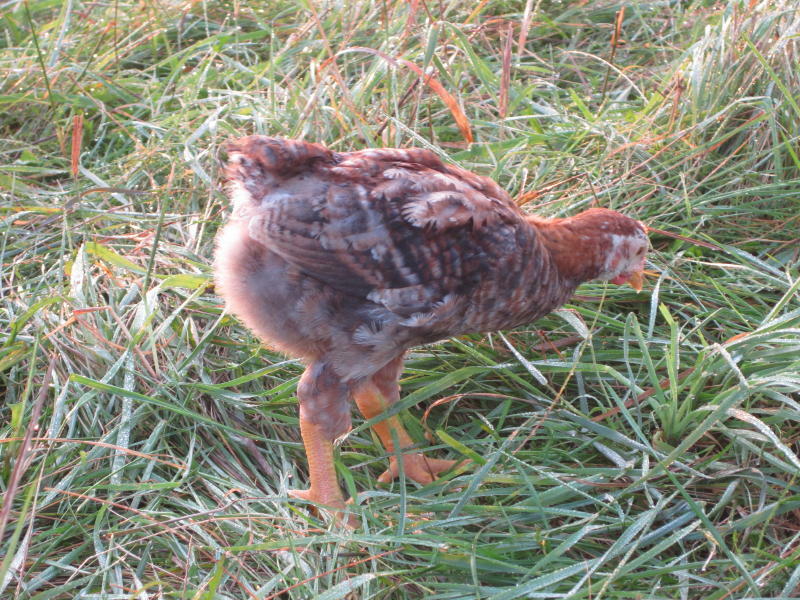 They are also red broilers designed to do well on pasture, and are clearly very curious birds. 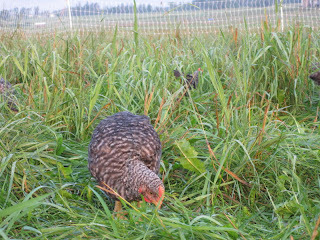 Our sixth and final breed, the K-22 from Moyer's Hatchery in Pennsylvania, is described as a hearty bird with resistant genetics coming from an Italian line of chickens. Although there is no swimsuit competition we will be weighing them weekly along with the feed they eat, monitoring their health and, of course, watching their behavior on pasture. May the best chicken win!